An established part of the Nigel Cabourn Classics Collection, the Antarctic Parka is a superb piece of kit. I've been able to wear one for a few weeks now, during the coldest days of our winter so far, and it's kept me warm in great vintage style. 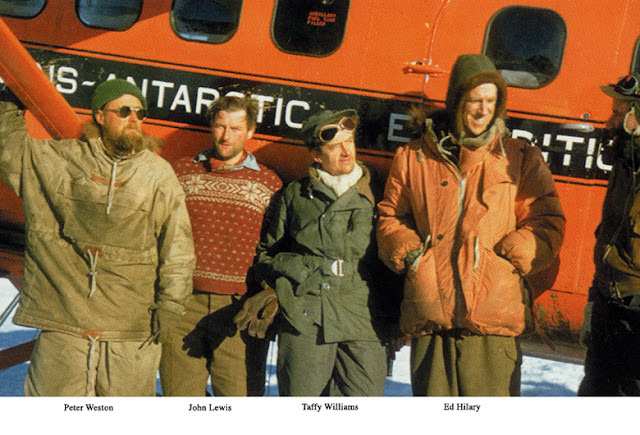 It was designed and developed to celebrate the 60th anniversary of the 1955 Trans-Antarctic expedition in which Sir Edmund Hillary and Sir Vivian Fuchs led motorised expeditions to cross the continent. The parka is designed to be longer in length for extra warmth (it comes down to just above the knee) and has an extended hood to keep wind chill at bay. A new belt design, with a vintage metal buckle, secures the parka in extreme weather conditions. It's made from Ventile outer, with wool lining and goose down filling and a cosy sheepskin trim around the neck. It comes in orange, blue/black or grey. This is a beautifully made coat. Details like wooden toggles, horn buttons, sheepskin around the collar, huge pockets, waterproof cotton Ventile shell, the soft wool lining, well-designed closure tabs and its generous proportions make this a wearable classic that will keep you warm in the coldest weather. It also gives the reassuring feeling that it will last forever. 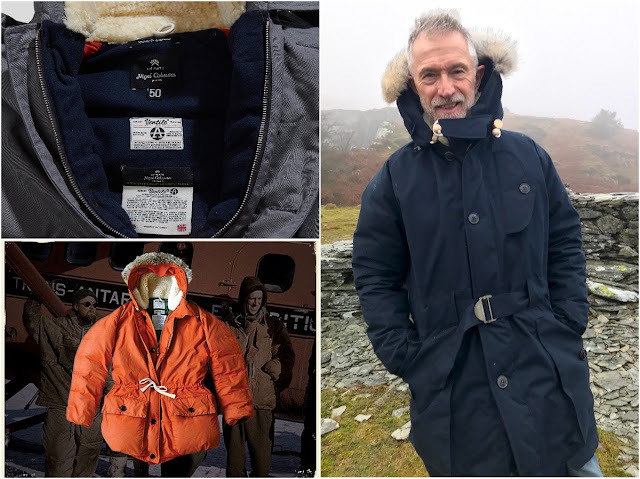 I was invited to use it on my recent trip to Antarctica, but, while it's not heavy, it weighs a lot more than the very technical and modern Shackleton Endurance parka which I took and reviewed here a few days ago. I was restricted in the weight of kit I could take and I had to leave it at home. However, it's been very useful in the recent cold snap and, while based on a classic design, it's proved itself to be a highly practical and stylish coat that will last a lifetime. Like much of Nigel Cabourn's clothing, its price, at just shy of £3000, reflects the work that has gone into it. This is a garment that will outlive even the youngest owner and, like all Cabourn's classics, retains a considerable second hand value. 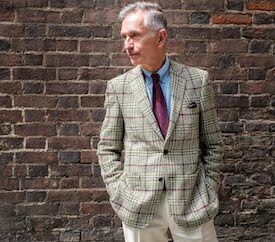 See Nigel Cabourn's website for information and to order. For a similar but slightly shorter parka, see the Nigel Cabourn Everest Parka at £2500 (image above). The coat was lent to me for review by Nigel Cabourn. All views are mine alone.